Idaho officials are considering spending 500 million dollars on a prison expansion and new state prison to alleviate the state’s overcrowded facilities. Gem State prison officials told the state Board of Correction on Monday that the expansion is needed because all of Idaho’s prisons are above capacity, county jails are packed, and hundreds of Idaho inmates are being held temporarily at a private jail in Texas. The proposal includes a new 1,500 bed state prison, as well as smaller expansions at an array of existing facilities. All are aimed at providing the 2,400 new prison beds that forecasts show Idaho will need by the end of 2022. Half of the Idaho inmates sentenced over the past year were convicted of drug offenses, with just 20 percent of those newly sentenced to Idaho prisons in the past year convicted of violent crimes. Idaho House Judiciary Chairman Lynn Luker, who participated in Monday’s board meeting along with Senate Judiciary Chair Patti Anne Lodge, said lawmakers are looking into making sentencing changes – particularly with drug crimes – as part of the ongoing justice reinvestment initiative. 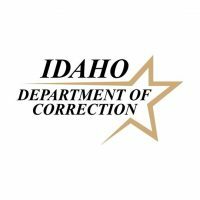 Idaho Department of Correction Director Henry Atencio and his staff proposed that the entire new state prison be devoted to special needs, from infirmary beds and mental health units to protective custody, a dementia and Ahlzheimer’s unit, and a relocated and expanded reception and diagnostic unit, through which every new state inmate passes for evaluation and classification. That would allow up to 900 beds at existing state prisons to be re-purposed as those functions move out, and open them up to the general prison population.